Arch spreader systems are used in conjunction with heavy-duty trench boxes to create very high clearances on almost any trench, such as when laying large diameter pipes. 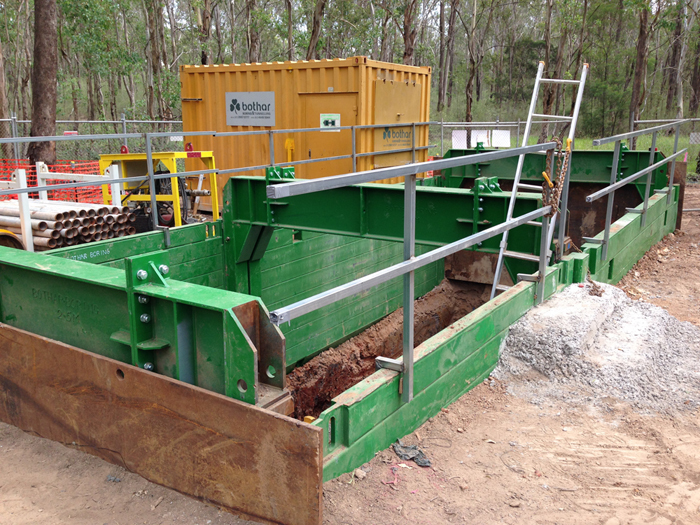 Other common applications for arch spreaders are in bore pit and box culvert construction. Onsite assembly is fast and simple, using bolt-on extensions up to six metres in width between the shoring panels. 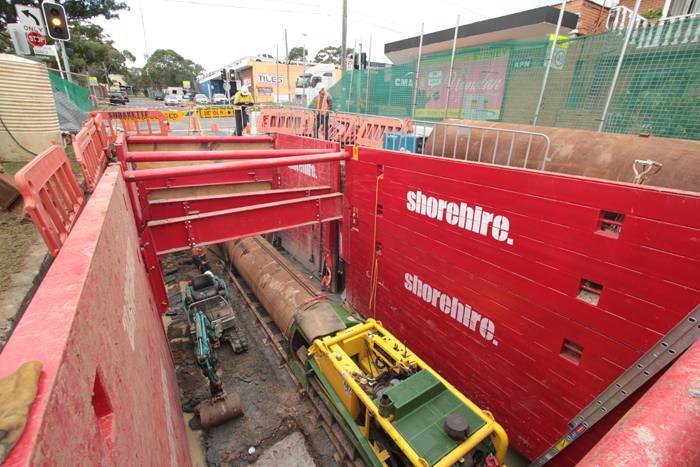 Arch spreaders are the ideal complement to many of our trench shoring systems used for installing large objects and where higher than normal under-strut clearance is preferred or necessary on sites with difficult access. 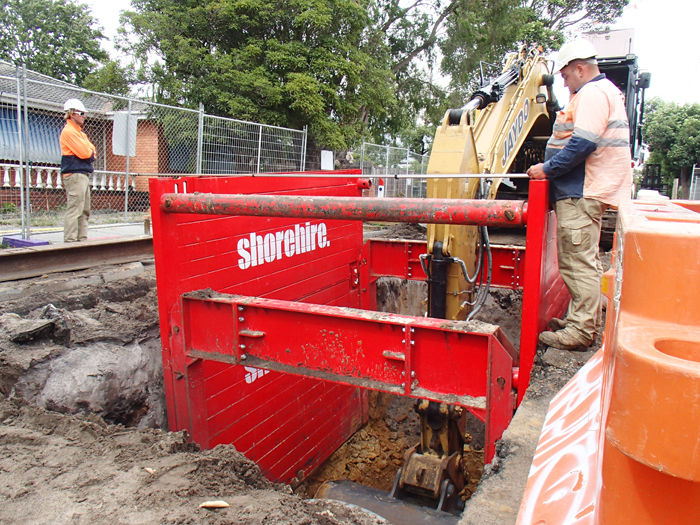 Arch spreader systems are used in conjunction with heavy-duty trench boxes to create very high clearance on jobs with a narrow trench width, such as when laying large diameter pipes. Other common applications for arch spreaders are in bore pit and box culvert construction. Onsite assembly is fast and simple, using bolt-on extensions that pin the equipment into place over double-walled shields. 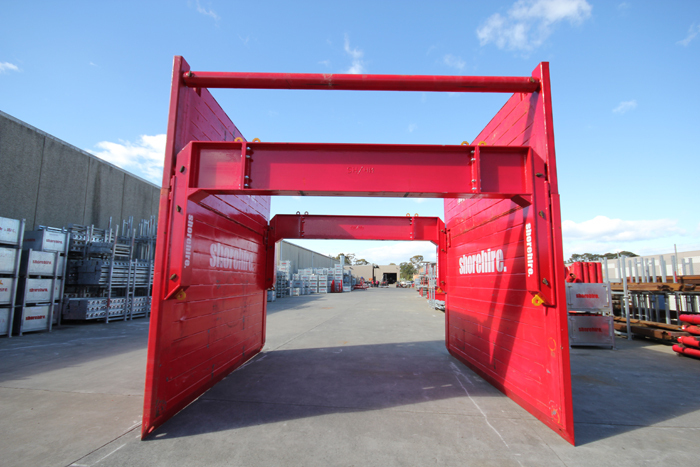 Our range of arch spreaders provides under-strut clearance to 2500mm, with a minimum 1500mm internal width between panels when arch spreaders are combined with a trench box. Using extension spacers, internal widths between vertical panels to 6500mm are possible. Arch spreaders allow you to plan jobs to a practical clearance scale to meet or exceed site WHS and equipment access requirements.